I met some cool people and did some cool stuff. Here’s one of the coolest things that happened to me. Thank you Benjamin! We had a grand time. We saw her parents in Washington, my parents in Georgia, and my son, his wife and my grandson in Alabama. We took quite a few pictures so they will be showing up here from time to time. Here’s a bird picture Melisa took in Georgia. I think it’s a thrush. What do you think? 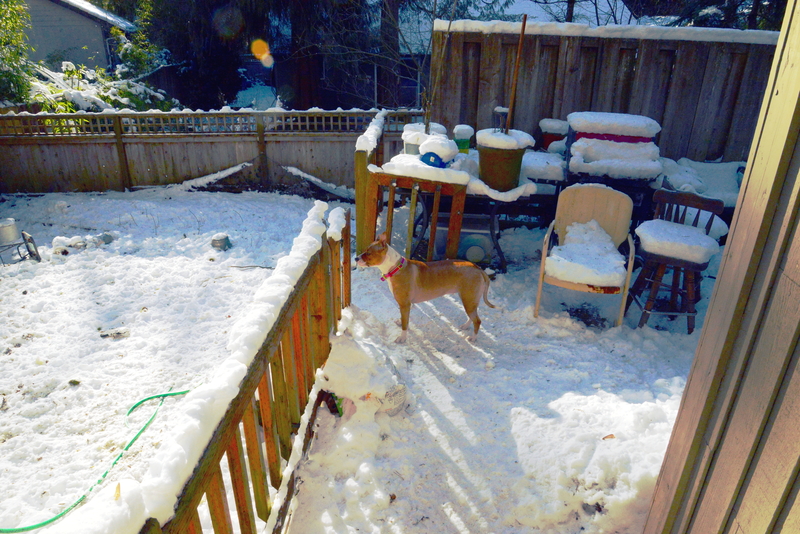 Keeta convinced me that the snow was a reason to go outside, not a reason to stay inside. I’ll have to admit that fun was had by all. That’s all I’m going to say about it. I’m going to pretend I’m somewhere else doing something else. 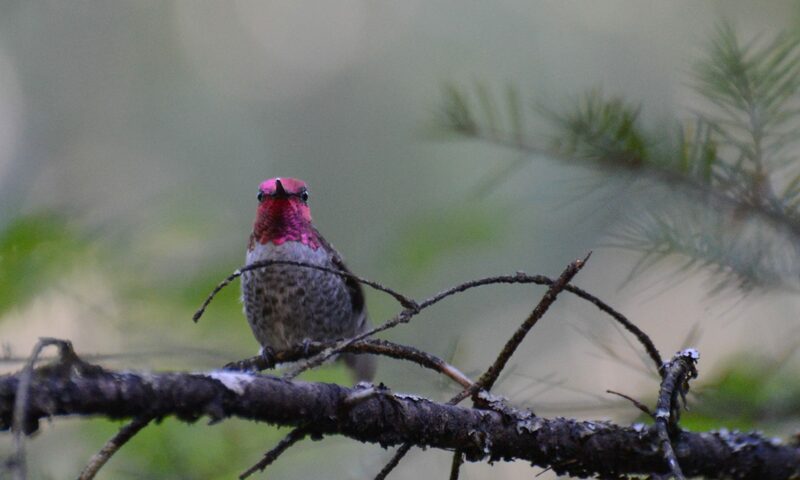 I mean this hummingbird even has his mouth open. How many times to you see that? That being said. It’s still snowing and there’s ice mixed in. Cabin fever got the best of us so we decided to go out. This stuff just isn’t going anywhere.